Scourge Arrow has been shining with its damage potential since it has been added to the game. This is the only channelling bow skill. Essentially, you have to stand in place and channel a powerful shot and release it in order to deal damage. When combined with a high attack speed, Scourge Arrow feels good to play, simply because you can reach maximum stages quickly. For the following build guide we choose to completely ignore the Chaos portion of the skill. Focusing on elemental damage is simply the best way to achieve immense damage output with Scourge Arrow. Our weapon of choice is Hopeshredder. Using this bow and having elemental damage added to our attacks from other sources will guarantee a great amount of burst damage when you release a 5-stage Scourge Arrow. To maximize Hopeshredder’s potential we focus on acquiring 6+ Frenzy charges. The Scion’s Raider ascendancy synergizes well with the bow and allows you to have Frenzy charge sustain against bosses. The Scourge Arrow Ascendant can definitely be played on a budget, considering your main bow can bought for few Chaos Orbs. For best in slot items for this specific character you have amazing end game potential, which can be very pricey. The build’s damage is heavily augmented by decently rolled Abyssal jewels. For survivability, you have the option to improve your life pool by using Kaom's Heart. For damage and clear speed, you can choose to play around Farrul’s Aspect of the Cat. Early on, you should mainly focus on acquiring the Hopeshredder bow; it will easily carry you up to red maps without any other damage investments. Your life leech and life regeneration should be enough to counter the bow’s degeneration effect. Offensively, a single 5-stage Scourge Arrow should be able to clear whole packs of monsters. Having Blood Rage up all the time is useful for the additional damage it provides. For mobility, Blink Arrow will take you wherever you need to be in a split-second. Herald of Ice will improve damage even further. Defensively, your Evasion and Dodge chance will keep you safe most of the time. Whenever you get hit, the great amount of life leech Hopeshredder provides will keep your life pool full. A standard Cast when Damage Taken Support and Immortal Call gem setup is used in order to prevent deaths from consecutive physical hits, such as exploding Porcupines. For every build that relies on Evasion/Dodge in order to survive there will always be one dangerous thing – big physical hits. Since you are using Acrobatics, you will have little to no Armour Rating, which means every physical hit will hurt. Especially physical spells, since you can only Evade attacks, and the only mitigation you have for physical spells is Phase Acrobatic’s dodge chance for spells. Most of the time you will be able to keep your distance in order to avoid getting hit. Against hard encounters you can use Vaal Grace for additional dodge chance. Your high movement speed and mobility via Blink Arrow will allow you to run out of fatal game mechanics. Taking the passive point on our way to Raider is the first thing we have to do. Picking up Raider will allow us to sustain Frenzy charges against single target bosses, while also improving our clear speed via the other perks this ascendancy provides. Path of the Ranger allows us to start from the Ranger starting point on the passive skill tree. This will save a few passive skill tree points, making our pathing more efficient. The Juggernaunt Ascendancy provides a great amount of flat Accuracy Rating, which is very important in every Critical-based build. Stun and Chill immunities are very useful against strong end game bosses. The Endurance charge generation is just another layer of defence the Juggernaut ascendancy provides. On the passive skill tree we focus on life, critical chance and multiplier, attack speed and elemental damage. For end game, a great amount of our damage will come from all the Frenzy charges we have picked up, along with the jewel sockets, which will provide a respectable amount of flat elemental damage added to our attacks via Abyssal jewels. When fighting tougher enemies, keep in mind you have Point Blank, which essentially allows you to deal more damage when you are closer to targets. If you do not have Rigwald's Quills, you can pick up Piercing Shots in order to improve your clear speed. Note: For leveling passive skill trees prior to this one and more detailed explanation of the passive skill tree progress early on, go to the leveling section of the guide. Major: Soul of Solaris along with all upgrades provides a good amount of passive damage mitigation. Based on personal preference, you can play any other Major Pantheon. Keep in mind that you are Immune to Stun, so we do not recommend picking Soul of the Brine King. Minor: Ralakesh makes you Immune to Blind and Maim when upgraded; in general this is the best minor god choice. Scourge Arrow is your signature skill, which should ideally be used in a 6-Link. For mobility, you should use Blink Arrow. Blood Rage can be used for the additional attack speed. Based on personal preference, you can use Herald of Ice, Herald of Thunder, Wrath for additional damage. Hatred can only be utilized in this build if you have well rolled Watcher's Eye. For defensive buffs, both Vaal Grace and Arctic Armour are a great choice. Standing in place and channeling Scourge Arrow will allow you to not take degeneration damage from Hopeshredder. This allows us to utilize Damage on Full Life Support. Scourge Arrow is an amazing single target skill, while also having a very good clear speed. The following link we recommend is good at both clearing and single target. Blink Arrow is a great mobility skill. Keep in mind it has a cooldown, you should use it wisely. Immortal Call provides physical damage immunity for a split-second, which can prevent deaths from Porcupines. Blood Rage provides additional attack speed. Herald of Ice is recommended when it comes to offensive buffs. Herald of Thunder and Wrath can be used until you get a Watcher's Eye with Hatred mods. Auras can be linked with Enlighten Support in order to reduce their mana reservation cost. Dread Banner can be used for the Impale mechanic. Capping elemental resistances is essential and top priority in every build, it is the first thing you should do when gearing up a character. You should start using Hopeshredder at level 60. For more damage focus buying Tombfist and Bubonic Trail along with decently rolled Abyssal jewels. Quicksilver flask will improve mobility. The Wise Oak will help with resistance penetration, you should have your cold resistances higher than others, considering that big portion of the damage you will be dealing is cold damage. Diamond Flask is mandatory in every Critical-based build. Atziri's Promise provides a great amount of bonus damage along with the life leech effect, which can be useful in sticky situations. Divine life flask can be used whenever life leech is not enough. There are no build-enabling jewels that the Scourge Arrow Ascendant depends on. If you have the currency to spend, there are unique jewels that can be very expensive, but provide a great amount of power to your character. 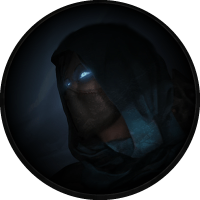 Using two Might of the Meek in combination with Unnatural Instinct near the Scion starting area is very beneficial to a Critical-based characters such as this one. Watcher's Eye with additional Critical Chance and Cold penetration while Hatred is active can also be very strong and at the same time expensive. If you do not have the currency to spend on the unique jewels mentioned above, simply use Abyssal jewels instead. The build does not benefit enough from regular jewels. The Scourge Arrow Ascendant can be leveled with several bow skills. Rain of Arrows is a great skill, especially for leveling. Scourge Arrow is also a good skill, but keep in mind that if you do not have a good amount of attack speed early on, the skill might feel a little clunky. Overall the leveling of this character should be easy, you should rely on sources of flat elemental damage added to attacks for damage. A simple Storm Cloud will carry you a long way. Pick Acrobatics as soon as you feel like it. As long as you have capped resistances and a decent amount of life you should be fine while leveling, as long as you know the dangerous Act encounters. For newer players, we recommend having 300 life per Act, this means by Act VI for example, you should have around 1800HP. This amount of life will allow you to tank most hits, which will help you learn game mechanics better. Starting off as a Scion means that you will not have the ability to start pathing your passive skill tree from the Ranger starting point. You are essentially forced to put in some points that you will have to re-spec later. Here is an early version of the passive skill tree; we head to Acrobatics, picking up life nodes and some damage on the way. Primeval Force, Fangs of Frost and Point Blank will fill your damage needs. Once you ascend into Raider, you should start picking up the Frenzy charges on the passive skill tree. We recommend investing into critical strike nodes around level 65-70. This is what your passive skill tree should look like around level 70-75. As you begin a new character there are few unique items that can boost your power exponentially. Tabula Rasa allows you to have a 6-Linked skill as early as you get the gems. Wanderlust gives a decent movement speed, which will make your leveling that much more efficient. Goldrim provides a lot of elemental resistances, this will let you worry less about gearing when approaching certain Act encounters. Ondar's Clasp will help out with the damage early on. Storm Cloud can carry you up to level 60 due to its fast attack speed. At level 4, you can add Mirage Archer Support to your Ice Shot link. At level 12, you should replace Ice Shot with Rain of Arrows. By level 18, your Rain of Arrows should look like this. At level 28, finally, you can start using your signature skill, Scourge Arrow. You will one-shot yourself to Elemental Reflect maps. The Cannot Leech map mod will also render your ability to leech mana, which might slow your clear speed considerably. Besides these two map mods, you should be fine doing any other map mods, even no regeneration, because you can still leech life and mana. Is There any Particular Content the Scourge Arrow Ascendant Slacks At? Due to the nature of the skill, clearing tight tunnels such as Delve caverns can feel clunky at times. Besides that, Scourge Arrow is great for any other content the game has to offer. If you are looking for a bow build that channels powerful shots and releases them in order to destroy foes, the Scourge Arrow Ascendant might be just for you. Such an Awesome build ! i like it .. but just a question can i transition in end game when i got the currency ( Arborix bow) and (Voidfletcher quiver) ?! ..
and can this build do all the content ?! like Uber Elder and all maps , etc ?! .. and do u have any videos for this amazing build ? Hey iMcZeus, thank you for the kind feedback. Unfortunately we do not have any videos of the gameplay. You should feel free to improvize and try out new things for sure, this is what Path of Exile is all about. Don’t u have a PoB for this build ?! … u didn’t mention the rest of the gems ! .. you put some choices out there .. but i should choose only 2 aura’s from all this or 3 max … what about the other like 2 items with 4 links .. and the other 6 link other than the main skill ?! .. other than the Gems section the guide is amazing . and what other options for (Quiver) than this expensive one ? Hey iMcZeus, unfortunately we do not have Path of Building links for these guides. When it comes to gem combinations, you do not need to have all sockets full in order for a build to be viable; you can always socket in gems that you think might synergize well with the build. For quiver, Rigwald's Quills is best in slot when it comes to clear speed, for single target you can simply choose a rare quiver with life, resistances, critical modifiers and Elemental damage with attacks. The build guide is updated and 3.6 Synthesis viable. Thank you for the kind feedback. Thank you for pointing that out, passive skill trees are fixed on, apology for the inconvenience.